Image credit & copyright: NASA/ESA Hubble Space Telescope, the Hubble Legacy Archive & processed by the great night sky imager Martin Pugh. Located nearly 100 million light years away in the constellation Eridanus is the wonderful spiral galaxy NGC1309. At about 70,000 light years in diameter it’s much smaller than our star city, the Milky Way. Like many spiral galaxies this beautiful object is bursting with bright blue arms of star formation while at its core lies much older, yellow masses of stars. NGC1309 is a member of a group of galaxies numbering over 200 members called the Eridanus Group of Galaxies. This galaxy also has extremely important historical significance. On September 17, 2002 light from Type-1a Supernova SN2002FK reached earth and was jointly discovered by Reiki Kushida of the Yatsugatake South Base Observatory, Nagano Prefecture, Japan; and Jun-jie Wang and Yu-Lei Qiu of the Beijing Astronomical Observatory. Astronomers are now using that standard candle to measure the expansion rate of the universe. In addition to that supernova, this galaxy is dotted with Cepheid Variable stars. Those are stars whose brightness fluctuates on a very regular time, with a regular peak brightness and minimum. 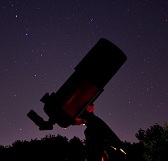 These objects are also the going standard in determining space distances. Up at the 10 o’clock position you can see a distant loosely bound 2-armed Barred Spiral galaxy and, like eyes shining through the bushes in the night, the glow of thousands more galaxies can be seen in the very distant background, glowing in a faint yellow hue. How big is it? : About 70,000 light years in diameter (2.3’ x 2.2’). How far away is it? : Roughly 100 million light years. Apparent magnitude: 11.5 (very faint). Where is it? (General): Constellation Eridanus (The River). Where is it? (Exact RA/Dec J2000): RA: 3h 22m 5s / DEC: -15d 23’ 49”. 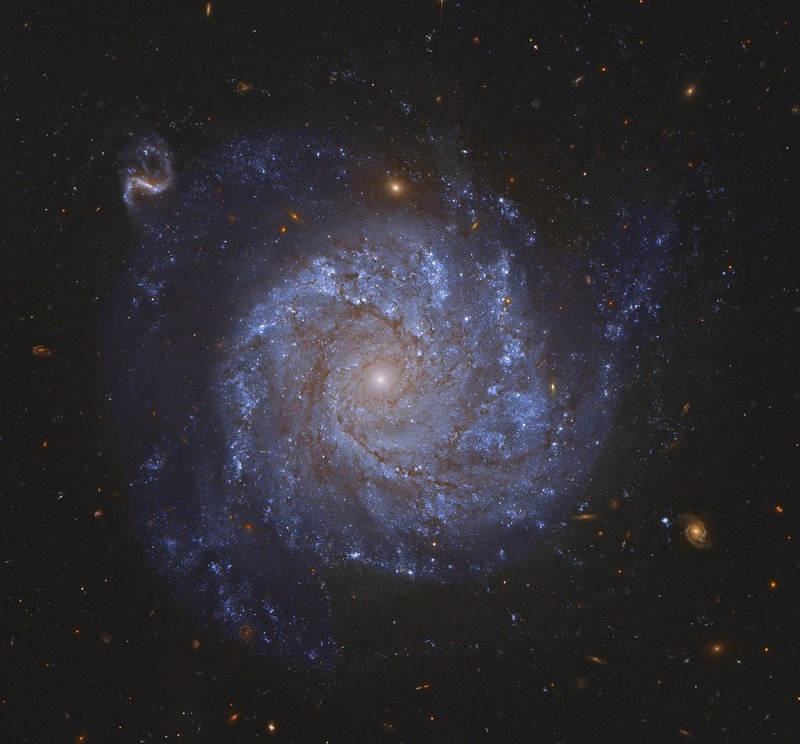 Image | This entry was posted in Astronomy (Learning), Astrophotography (DSOs), Galaxies, Images and tagged Astronomy, Astrophotography, Galaxy, NGC 1309, NGC1309, Science, Space, Universe. Bookmark the permalink.